live setting, this will be something special. invites to an obsessed witches' dance. Unfortunately STYGIAN TEMPLE have to cancel their appearance at BtMoW II. missed to amaze us with his tremendous intensity of atmosphere and vision. Date is Saturday, 05/05/2018. 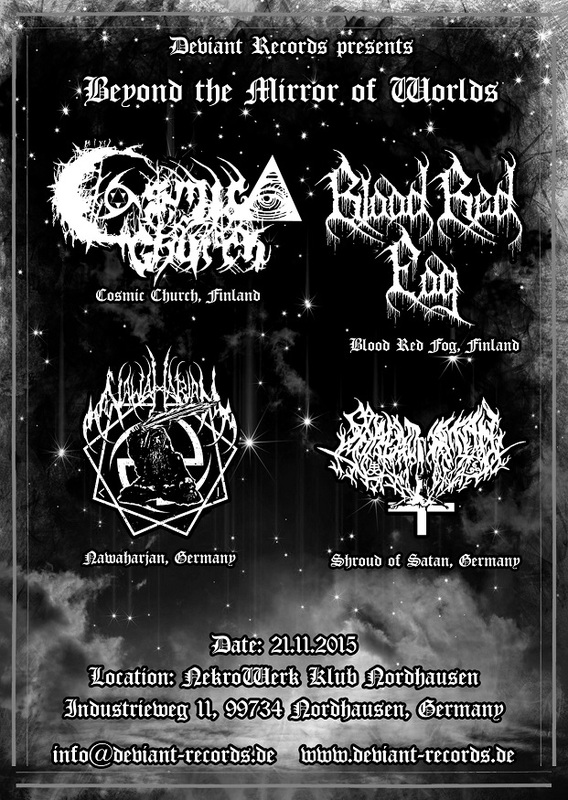 Location will once again be the NekroWerk Klub in Nordhausen (Thuringia). Ticket Presale will end on the 10th of November 2015. Tickets will be available at the doors. Out of nowhere "In the Sign of the Five Angles" hit the underground as a deeply intoxicated masterpiece of raging & passionate Black Metal. 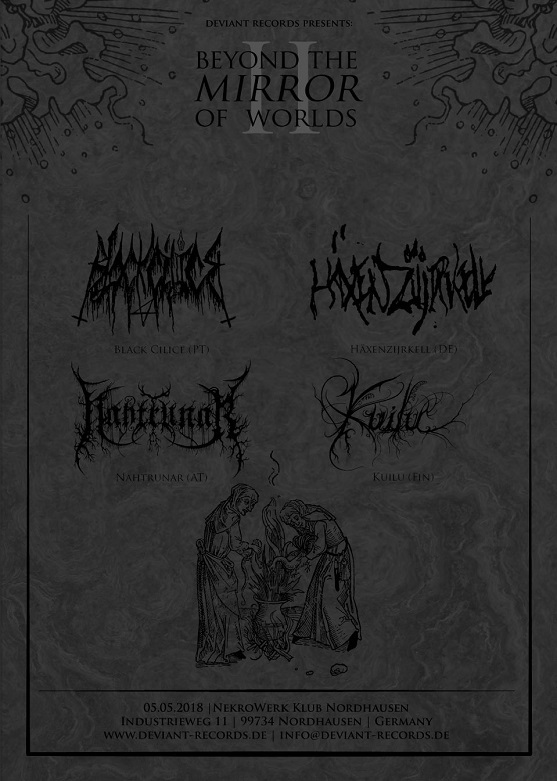 We are proud to provide the first ever & exclusive sanctified context in which STYGIAN TEMPLE's dark fundamentalist approach shall breath and prosper within the intimate aura of a live setting. We feel sincerely honoured and excited to present the first performance of Finnish KUILU on German soil. If it's only a glimpse of the sublime Black Metal intensity which excels on their forthcoming debut album "Monumentti", whose release will take place at this very gig, that can be transmitted to the live setting, this will be something special.